From left to right, Michael Fassbender, Lupita Nyong’o and Chiwetel Ejiofor star in “12 Years a Slave.” The movie won three Academy Awards, including best picture. Nyong’o picked up the coveted best supporting actress honor. It’s a good week for home video, and this year’s best picture Oscar winner is the main attraction. 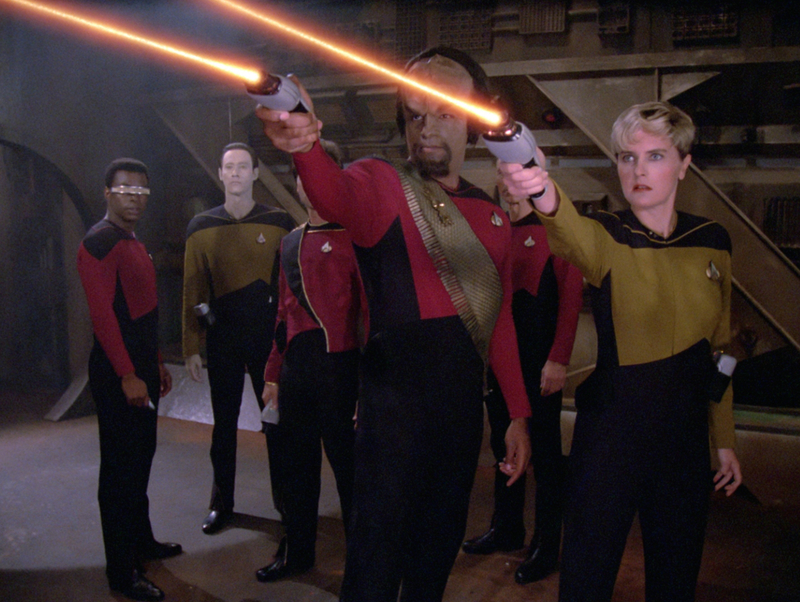 From left to right, LeVar Burton, Brent Spiner, Michael Dorn and Denise Crosby star in “Star Trek: The Next Generation.” The first season of the much-loved science-fiction series makes its Blu-ray debut this week. This week’s home video releases are anchored by the Blu-ray debut of a much-loved TV show and an English-language remake of a Uruguayan horror film.